Shop T-Shirts, Mugs and More! Hi there! Welcome to 2 Paw Prints. I’m an artist who has been drawing pet portraits for the past few years. I hope you enjoy them! 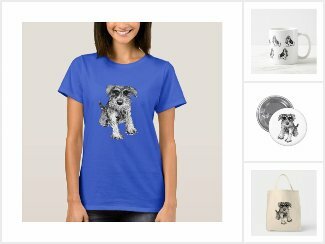 My original artwork is available on Zazzle.com products. 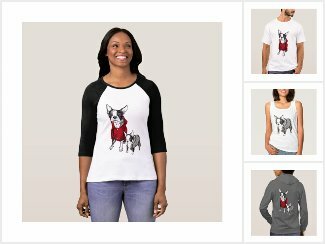 Check out Boston Terriers in sweatpants t-shirts, Schnauzers on a tote bag, or Basset Hounds on a mug and more items!